One of our biggest goals is to find a nice place in the country to call home. I have dreamed of having a fruit farm for years. I can just imagine having rows and rows of blueberry bushes, strawberry plants, and apple trees among many other delicious fruits. While being a fruit farmer sounds fun and very tasty it will take a while to turn a dream into reality. We have taken many steps toward this, such as; saving a sizable down payment, moving to an area where our work may be rewarded, practicing with a small seven acre farmstead that we bought and sold in 2014 and 2015 respectively. We are just in wait and see mode now. We have a lease that runs Aug 28th - May 31st. So, we have a bit of time to make the big decision. There are some places we have seen that would make great places. There is a 34 acre farm off of a main hwy that has a big barn and old house for under 250k. 250k would be my highest entry point as of right now. 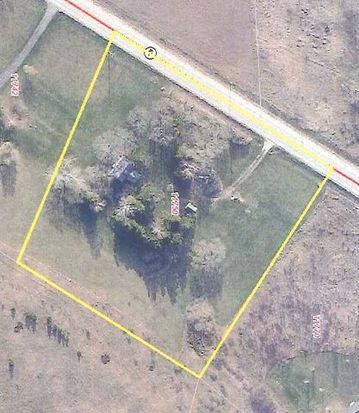 Another option for us is considerably smaller at 3.9 acres. 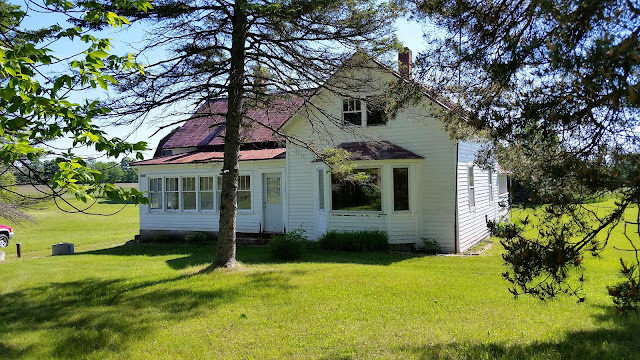 This property has a really old abandoned home. The home appears fairly sound, but would need to be gutted. It come with plenty of issues. The land is nice with a hill,flat portion, and plenty of trees. The property is right off what I call the main tourist road. Its price is 54,900, which I would offer at least 10k less as a starting point. The thought with the cheaper property is that we would be debt free. We could build things up over time and sell it if we wanted to expand. Or turn it into a rental later. The thought with the more expensive property is you wouldn't need to upgrade due to the size of the land. The downside is you may have debt for 30 years. I don't really like the idea of being a slave and not having flexibility to do what I really want. However, I am open minded and flexible to different options and situations while agreeing with Ellies thoughts and opinions respectively.